I’ve just finished reading Elena Ferrante’s My Brilliant Friend, Book One: Childhood, Adolescence (Europa Editions, 2012). One sole point of view, that of the narrator, Lenu, furthers the story. Vacillating between admiration, fear, and envy of her first and dearest friend, Lila, she reveals an intimate picture of life in a poor suburb of Naples, Italy, with all its intricate relationships, codes of behavior, and cultural inhibitions. In the end, we learn how Lenu and Lila confront their personal ‘monsters”–Lenu through her own talent, ambition, and courage learned through her friendship with Lila. While masking actual motivations–although one can guess at them–the narrator describes Lila’s behavior and thoughts so well that we assume she must be the brilliant friend of the novel’s title. The book’s last chapters upend that assumption and a few more. 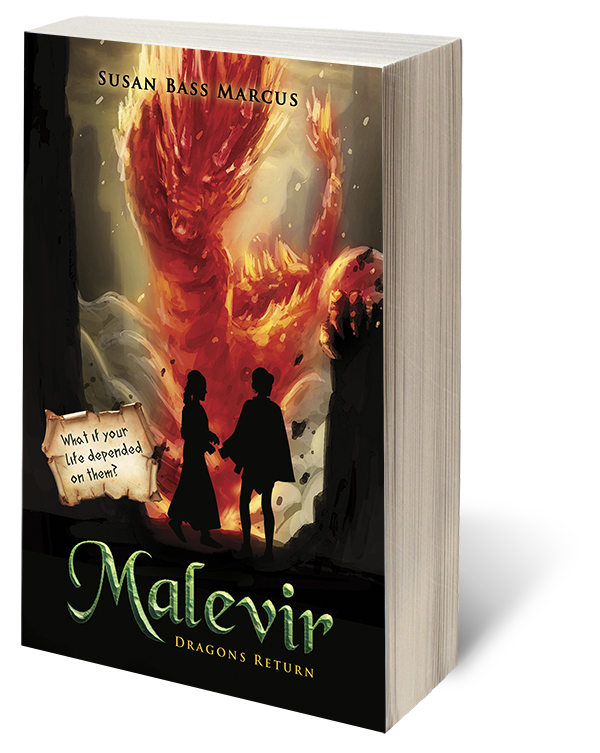 I’ve written Malevir: Dragons Return with many points of view advancing the narrative and they all contribute to the reader’s assumptions about its eponymous villain. The book ends on a note of uncertainty, raising questions about the Malevir’s true nature. Driving the narrative with his threats and attacks, the beast terrifies the population of the Veiled Valley. As Aindle, he shifts between different shapes to help him achieve his aims; yet, on the last page, all the reader’s assumptions about his essence crumble. As I work on the sequel. I’m enjoying playing with these open questions, just as I enjoyed the plot twist in Ferrante’s last two paragraphs, which, of course, compels me to read the next one, The Story of a New Name. 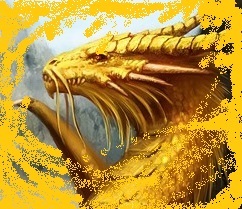 Before the Forest People settled in the Veiled Valley, before the Orferans, a powerful dragon clan, made their home in a Sunriseside Mountain cave, and well before Malevir threatened the valley, another sort of being lived there. Three very tall and colossally strong giants left their wanderings in the Beyond for the warm seasons and verdant plains of the Veiled Valley. They came from different points: the graying, stooped wood giant Haldoren entered the Coldside Desert from its farthest boundaries; sturdy rock giant Enderfon, a smile always rounding his jagged blue cheeks, trudged up from the shore beyond the Warmside; and rugged Rocánonom, the man giant, came by sea. Many Turnings of the World ago, they agreed to find each other and prepare the land for people they knew would come to build new homes there. The giants would become guardians, Protectors of the Trace, the Forest, and the Mountains. Only one giant would survive the journey. Haldoren skirted basilisk pits and nests that pocked the surface of the desert, but a two-headed aiglonax ambushed him. Swooping down from the mountains, it pulled him apart with its beaks, tore the giant in two, and devoured him. Enderfon faced a different menace—the heat. Stifling winds were drying lakes and rivers that crossed the Warmside. Grasses and flowers withered and trees became skeletal. Dust devils danced across the barren expanses and soon the half-rock giant collapsed under a mountain overhang. Before the next Moon-Rising, Enderfon moved no more. The Malevir had turned his heart to stone. Rocánonom, however, pulled his boat onto the shore of the Coldside Sea, and trekked through mountain passes until he reached low, rolling hills and meadows that would become known as the Anonom Trace. In his pack, he carried a vellum-paged book, bound in stiff leather—the grimoire he found hiding within a stone wall of the castle that rose from an island of the Coldside Sea. Invocations filled the pages of the manual of magic, enchantments that gave Rocánonom the power to call on the Great Forces when he needed their help. The sea would have drowned him, but it froze at his command and he trudged across its icy surface to the shore. Mountains might have crushed him, but gusts of wind pushed him gently up the slopes and righted him when he stumbled. He arrived at the Trace and waited for the other giants.